Talk-ED: We are in the hand-basket but where are we going? We seem to becoming a country in which retribution has become de rigueur. This country has got through many tragedies in the past – world wars, Mt Erebus, Tangiwai, the Kaimai Aircraft Crash and many more – and the response has been to a major degree, measured. A quest for the truth was usually the goal of the enquiries that followed. Why did it happen? How did it happen? What do we need to do to see that it doesn’t happen again? Now these concerns, while there, seem submerged under a revengeful desire to see that someone pays for it in some way to the extent that there is a growing call for the introduction of corporate manslaughter. This trivialises the suffering of those affected. Or is an eye for an eye, a tooth for a tooth – lex talionis – how it is going to be because it certainly was not how we used to be. Some other countries have a habit of show trials, public humiliation, imprisonment for a host of “crimes” against others and almost without exception those countries are less safe than ours, are characterised by higher levels of violence and have a much lower commitment to the rights of individuals. Do we wish to ape them? I think some of this has happened in a rather unintended manner. The “sensible sentencing” movement was well-intentioned but has had the regrettable effect of developing and nurturing the “lock ’em up and throw away the key” mentality. What has this resulted in? An incarceration rate second only to the USA among our peer countries. The results of this increased incarceration level is not a lower level of crime (this has been achieved where it has occurred through pro-active responses from the police) nor a safer community. When the court system is seen as a stopping post on the way to gaol it ceases to loose the power it has to contribute to a safer world. It has also masked the significant role that mental health, drug dependency, alcohol abuse all play in crime – the solution of a “sensible sentence”, a euphemism a sentence that makes me the bystander feel good, one that will teach the so-and-so a lesson. Sentences have only rarely taught anyone anything at all. The courts are not village stocks. And it is in the courts where the other element that is not helping is being played out and that is the seeming development of a cult of the victim. Once victims were dignified and in being so were accorded the support of others and respect for their courage and strength. Now they have become central characters in the soap opera version of justice relayed with little taste and even less tact by the media to a community that appears to have a thirst for such stuff. It trivialises the real nature of crime. Criminal offences end up in courts not only because they have been visited upon a victim and those around that person but also because they have greatly offended against the standards and requirements of a civilised community. It is not the sole role of the judge to adjudicate in a lex talionis squabble between the perpetrator and the small circle of people hurt by his or her actions – they are there to draw the line in the sands of that civilised community. It is the offence against humanity at large and the community in general that must be served by the judicial process. Yes, victims and their supporters have a role in the process but they are not the only targets of the offence caused. Of course, if we are to take a civilised approach to all this then it all starts in homes and schools which struggle at a time when declining numbers of people are exposed to the moral standards of a community through such mechanisms as religion, service clubs, sport in the true sense of the word, youth clubs such as boy scouts and girl guides and so on. Homes are greatly varied it seems. We once could look up to the business community but that has been tarnished by those who would steal off the rich so that they might be richer. Sports was a pretty example but that is now largely the arena of the overpaid hyper-inflated ego. So schools might now be the first, last, and only place where these communal standards can be promulgated, practised, inculcated and carried out into the community. When I was a school principal discipline cases led me to believe that the only true offence was one which made it impossible to run a school which maintained standards and which had a sense of right and wrong. It wasn’t complex. All this might be a bit grumpy. But I do watch a lot of people on television and wonder whether these people could have got the country through the tragedies that the generations of our parents, grandparents and great grandparents managed with a courage and a dignity matched only by their suffering. The recent events within Cricket New Zealand suggest that some organisations don’t even need an opposition to be beaten – they are able to defeat themselves without any assistance. What staggers me is that once again a staggering failure of governance is allowed to pass. Victims are strewn all over the place, reputational damage affects individuals and the organisation and yet the Board sails on, unaccountable and unscathed. Well played, chaps! On the other hand, governance of sport is consistently of a low standard. Take your pick, swimming, Otago rugby, rugby league are just a selection of sports governance which in recent times have managed to exhibit a wide range of issues at a governance level. Over in the finance sector, failure of governance is rife. Some of the issues in Christchurch and the responses to the quakes have been issues of governance rather than any operational ineptitude. It is my experience as an observer of many schools that the key issue is actually knowing the difference between the duties of governance and the elements of management. Where Boards run into trouble is where they want to start running the school. That is why a recurring issue in school governance is the relationship between the Principal and the Board. These sometimes spill over into rather unpleasant public spats. And communities have a varied pool of experience available for selection to these positions – a selection that is made by the community which also will exhibit a widely variable level of competence to make such selections. It is all pretty hit and miss – not unlike our cricket team. 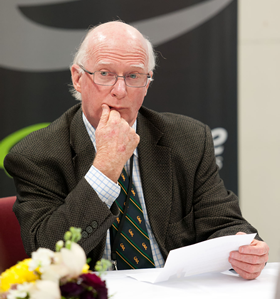 One of the great issues of school governance, in my view is that low-decile schools in which the issues are complex and not as straightforward as they are in middle and high decile schools and yet it is these very same school communities that have to provide a board that is, until it gets into trouble, largely left to do its best. When that best is not good enough, the state intervenes. The various levels of intervention – requested by the boards themselves in about half the cases – can result in the board being replaced by a commissioner and this happens, the report tells us, in about 30% of the interventions. The Boards of Trustees were never intended to be as isolated as they have become. Tomorrow’s Schools (which was the policy statement following the Picot Report on the administration of education) also proposed the existence of education service centres which would be a relatively local mechanism to create support for Boards of trustees, community education forums that would give communities wider than the single cell of the school a voice and, finally, a parent advocacy council where parents could raise issues and seek solutions. None of that happened and the greatly exposed system of devolved school governance was thrown into the feral environment of competition between schools. There had to be winners and losers in that scenario. It’s tough in Christchurch at the moment but they will be creating a great legacy for New Zealand if they get the ball rolling on genuine structural reform of education. And none of those reforms is more urgent than looking at the governance of schools. It is the role of boards generally to increase the value of the company for the shareholders. Therefore it is the role of the Board of Trustees of a school to increase the value in terms of the educational outcomes to the government. How refreshing it is to see that finally the Boards of Trustees are to be held accountable for the educational achievement of the school. The Education Amendment Bill currently before the House is greatly to be supported in this regard. After more than 20 years, school Boards are about to get on to the real work. Now, that will add value!